In July last year, shortly before I left for South America, our family gathered in Christchurch and spent a couple of days at Akaroa, on Banks Peninsula. It's a lovely place, even more lovely in winter when the hordes of tourists have abated. 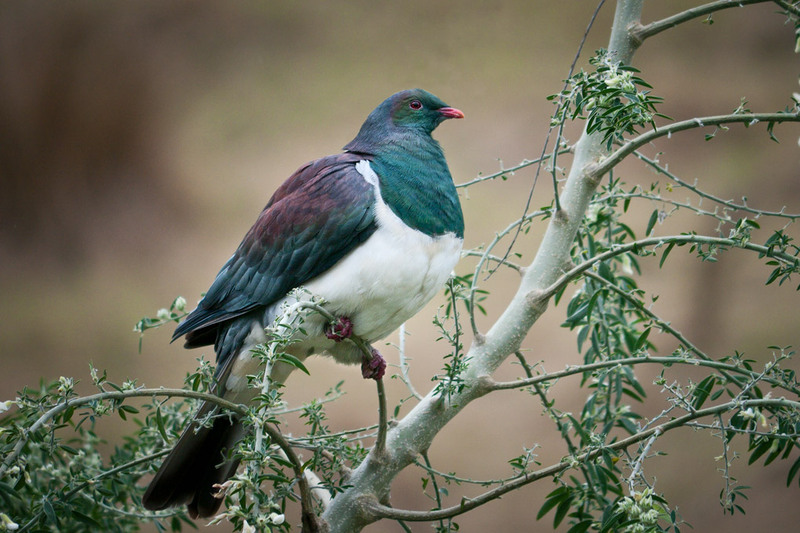 On one of our walks we spotted this kereru (Hemiphaga novaeseelandiae). I guess it's a pretty straightforward photograph, but I think it shows something of the typical character of these big birds, one of the largest pigeons in the world. Beautiful eyes, serene expression, tiny head, bulbous body. I had to chuckle a bit at the very apt description of the kereru! Very much the acrocerid of the bird family. I think I will skip showing this one to Charlie and Tara :). Ataahua though. I have always loved the colours and the sound they emit lifting their bulk off the branches to fly. 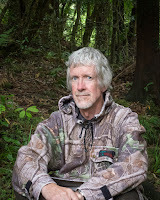 I recall Crump writing a very naughty chapter in one of his books about being out in the bush hungry and coming across a swag of kereru gorging on miro miro berries. By description I meant the very apt one left by Zhoen. Sorry! Those little red feet gripping on so tightly are very expressive. It must be quite a job balancing that body on a thin twig. I have just been watching a bog-standard English pigeon determinedly trying to balance at the very top of a tree. Those small heads contain even smaller brains. Zhoen, they have a kind of self-assurance about them — even when you're close, they seem more inconvenienced (or curious) than perturbed. RR, ah, but those small brains must be brighter than we sometimes think — they have to negotiate a far more three-dimensional world than we poor earth-bound creatures. You're right about the balancing act though. I've often seen them land on a slender branch that's bowed so much they have to hop onto something more substantial. Pigeons are seriously disliked by most people in my country. That's mainly because the only ones they ever see are the millions of non-natives that have taken over every roosting spot in major cities everywhere. I have heard people refer to them as "rats with wings." We do have a native pigeon here, the Band-tailed Pigeon, that while not being nearly as colorful as this one you have photographed, but is almost as large and stately. They mob our feeders, but we still try to stay happy to see them! Beautiful pigeon you have there!